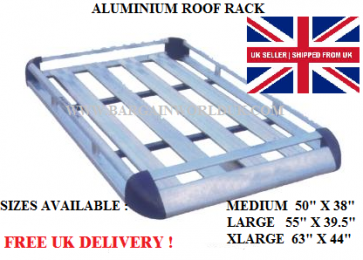 This Roof Rack comes with 2 free matching roof bars to use if required!! 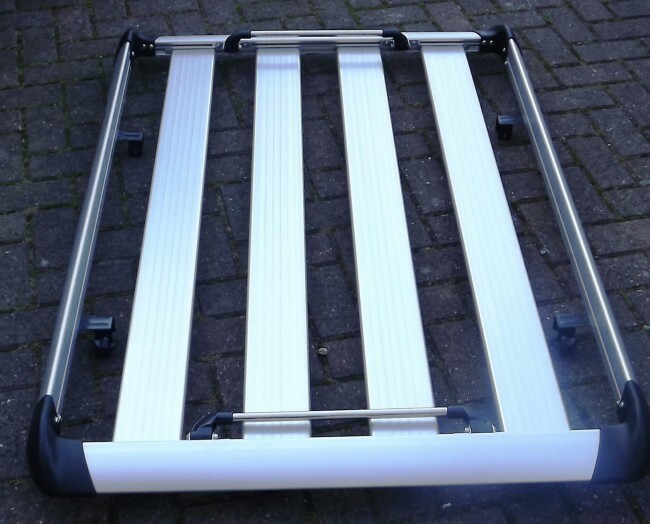 Superb quality "Aerolight" aluminium deck platform to put on top of your vehicle. 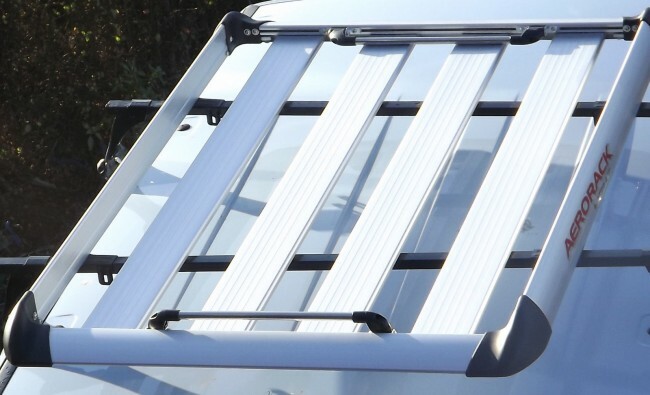 Simply place it on your existing roof bars and using the clamps provided, clamp it to your existing roof bars or install the roof bars provided inside the box. You can also use simple u bolts for £2 each to fix this tray on top of anything!!! All sizes are the same price so just inform us which size you want. How to find out which is your size? Simply measure the roof of your vehicle and match it to any of the 3 above sizes and then specify which size you want under "Other information" to the right! Suitable for all cars, vans, caravans, trailers, campervans etc !! Finally, a roof rack aluminium tray simplified and made available at a fantastic budget price for everyone!! Delivery by courier comes in a box with assembly instructions. Tray needs to be assembled which takes about 2 hours relatively easy to set up and install - yes you can do it yourself !!! This is a bargain item as they sell for over £300 each !! Limited stock available! - Once they are gone they are gone!! Ideal for the summer! Good carry load and fuel economy due to the aluminium being the strongest and lightest material compared steel and does not rust! With present day fuel prices, its better to have one of these ready - a very useful handy item. Can be dismantled and kept in your garage as you never know when you will need it. This product will be the best price and quality found on the internet!